I just read No Earthly Shore and sent in a glowing review for the BFS website. Excellent, so I've baggsied two more. Thank you for that great review! My other two pieces up on Kindle are very different - I hope they don't disappoint. I'm currently trying to get my head round posting to my blog and fixing up a story to submit to Alchemy's Pulp Heroes collection. is now available on Kindle select. Well, for one thing, it's cheap. Just £1.31 in the UK, or $1.99 in the US. Not only that, but starting Saturday, it will be FREE for everyone for 3 days! Yeah, but there's loads of free ebooks. Why should you want this one? What sort of book is it anyway? It's a bit of a mixture to be honest. For the most part it's science fiction, but there's much for the fantasy and the horror fans too. Plus... it contains a couple of stories, which are adapted from chapters of one of the books in Jilly Paddock's 'Anna & Zenni' series, the first volume of which, 'To Die a Stranger', is available on amazon kindle right now. So this is a perfect way to find out if you're going to like that series. The title story, 'The Dragon, Fly' is a beautifully told fantasy tale which Jilly originally wrote on a creative writing course. It was much admired by Iain (M.) Banks, who was teaching on the course & was later published in Far Point magazine in early 1992. The excellent Morgan Fitzsimons (http://www.fitztown.biz/morgan-fitzsimons.html) was kind enough to create the gorgeous cover image, illustrating this story. The second story, 'Playing Possum' is, unusually for Jilly, a straight ghost story, albeit it involves technology. This story originally saw print in 'Skeleton Crew' magazine, edited by Dave Reeder in March 1991 & was her first published story. There are horror elements too in 'The Omnidirectional Woman', which would have been her third published story, had not the magazine (The Gate) folded before they got around to using it. The next two stories, 'Death and Cai-Lee McGeoghan', & 'The Serpent’s Claw', are classic science fiction/fantasy. They're not only connected to each other, but careful readers may be able to pick up on hints of how they also connect with some of her other work. All of Jilly Paddock's stories, novellas & novels are connected, although they may be set light years, or centuries apart. These connections may well become more apparent as she produces more work. One common thread in all the reviews & comments Jilly has received about her stories is that readers want to see more of the characters. In many cases, they certainly will. I predict a similar reaction to Dory, the lead character from, 'That Cold, Terrible Place Filled With Stars'. "Her prose is smooth, stylish, sensual and occasionally beautiful. The characters are convincing and engaging." - Stewart Horn (BFS website review). "What wonderful writing and world building. I'd forgotten the joy of good SF and this is superlative SF! Though she has her own unique voice, I am brought back to the wonderful time I discovered Anne MacCaffrey, Tanith Lee, Ray Bradbury and Ursula LeGuin, there is a beauty about her prose I find irresistible". "Much like Ursula K. Le Guin's The Left Hand of Darkness and Orson Scott Card's Speaker for the Dead, No Earthly Shore shows a complex sense of originality in Paddock's concept of alien sentience while also drawing the reader in by mirroring down to earth aspects of friendship, compassion, and even a spark of romance." So, grab this while it's free. Let us know what you think & (hopefully) come back for more. Jilly Paddock has 2 novellas, 'No Earthly Shore' & 'The Spook and the Spirit in the Stone', plus the first book in her 'Anna & Zenni' series of science fiction novels, 'To Die a Stranger', currently available on amazon. There's a free kindle promotion on all four of Jilly's books, starting today & running until Oct 2nd. Lovely to get such a great review of The Dragon, Fly, my short story collection, on the BFS site. Thank you, Stewart! If you're going to the World Fantasy Con this year, I owe you a pint. Another of my short stories, The Third Worst Thing That Can Happen On Mars, is due to be published this month in Pro Se Presents. 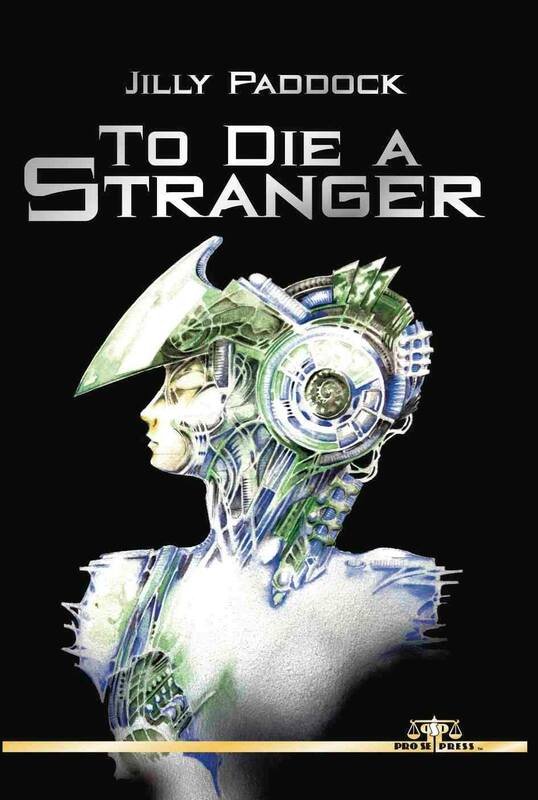 My SF/espionage novel, To Die A Stranger, isn't available at the moment, but will be produced as an e-book and in print by Pro Se later this year. Jilly has a story in the latest issue of Pro Se Presents #19. The hard copy will be her first paperback appearance. Pro Se Productions proudly announces the release of the first quarterly issue of its award winning magazine, PRO SE PRESENTS #19! This extra sized issue Is Jam Packed with The Most Pulp Goodness One Magazine Can Handle. Thrill to Issue 19's Feature story as the skull faced horrific avenger, BROTHER BONES, returns in another tale from Ron Fortier. Kevin Rodgers delivers science fiction horror in SLAUGHTERSHIP while A. M. Paulson's popular Dog Detective returns for a new tale of the Flatfoot with a tail. Robert Kingett shares a provoking, well crafted essay on one of literature's most popular characters and Jilly Paddock imparts her sci fi wisdom by sharing THE THIRD WORST THING THAT CAN HAPPEN ON MARS. Aaron Smith's popular Hockey Star turned Cop, Picard returns and joins Ralph L. Angelo, Jr.s' Torahg the Warrior in his magazine debut. Ron Capshaw's hero Alan Bolt opens this issue and is followed by the debut of Doll Face, a disturbing, intriguing character from the mind of Charis Taylor. PRO SE PRESENTS #19 is a breakneck, nonstop cyclone of Horror, Sci-Fi, Hero, Mystery, and just plain Pulp! Featuring a great Brother Bones cover by Rob Davis as well as stunning design by Sean Ali and Ebook formatting by Russ Anderson, PRO SE PRESENTS #19 makes Quarterly look GREAT! From Pro Se Productions. Pick up PRO SE PRESENTS #19 in print for $9.00 on Amazon at http://tinyurl.com/mwvoaur. Shop Pro Se's store at http://tinyurl.com/ksyo9q4. Get the issue from Barnes & Noble at http://tinyurl.com/kx2ud96. Also available in Ebook Format for $2.99 via Kindle at http://tinyurl.com/l4q6coj, for the Nook at http://tinyurl.com/kodsrdj, and for multiple formats at http://www.smashwords.com/books/view/338963. For review copies or interviews, contact Morgan Minor at MorganMinorProSe@yahoo.com.Pro Se Productions proudly announces the release of the first quarterly issue of its award winning magazine, PRO SE PRESENTS #19! 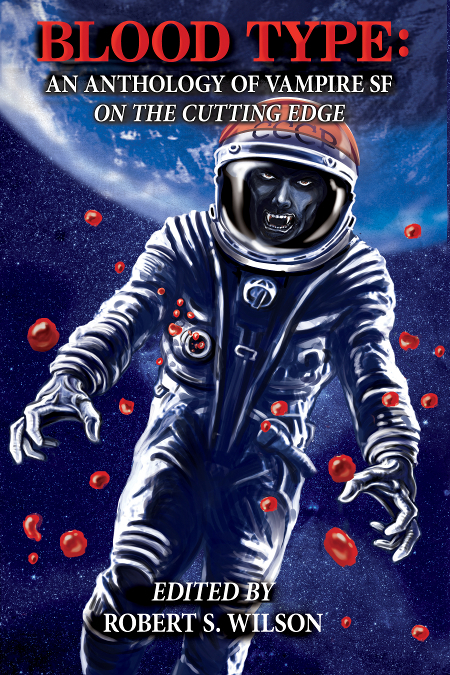 Jilly is proud to announce that she has a story in the upcoming 'Blood Type' anthology from Nightscape Press. It's a charity anthology for The Cystic Fibrosis Trust. Cystic Fibrosis is one of the illnesses that Jilly worked on when she worked in medical research, so it's a cause close to her heart. She is honoured to be appearing alongside such great authors as William F. Nolan, Mike Resnick, Peter Giglio, Peter Watts, Laird Baron, Jason V. Brock, Tim Waggoner & many others. Jilly Paddock will be taking part in a reading at the World Fantasy Convention this Saturday at 2pm. Jason V. Brock & William F. Nolan are kindly giving over part of their hour to promote the upcoming charity anthology, 'Blood Type' & Jilly will be joining them to read from her story in that volume. Sadly, it seems that the book itself won't be quite ready in time for copies to be available at the convention. Promo video for that 'Blood Type' anthology wot Jilly is in. ebook available now. Paperback due at the end of January. is finally available to purchase in paperback edition! Purchasers of the original self-published Kindle edition have no cause to worry. There are no major changes in this Pro Se Press edition. I see it's been 18 months since Jilly, or I posted anything here. No one can accuse us of over promotion, that's for sure! Anyway, Jilly Paddock's[/b] new book, 'Dead Men Rise Up Never', the sequel to 'The Spook and the Spirit in the Stone' is finally out from Pro Se Press. If you haven't read the first book,don't worry, I took great pains in my introduction to this volume to make sure new readers would have all the info they need. Pro Se Productions, a publisher of innovative Genre Fiction, continues that tradition by announcing the release of author Jilly Paddock's newest title. Taking multiple genres and tying them together into a tapestry of betrayal, murder, intrigue, and investigation, Paddock's Dead Men Rise Up Never is now available in print and digital format. “Jilly Paddock," says Tommy Hancock, Editor in Chief of Pro Se Productions, "is truly masterful at taking varied genres and weaving them into something that not only stuns and entertains, but is also seamless. Mixing magic and mystery, as well as science fiction with her own take on police procedurals, she delivers a wonderfully engaging, thoroughly exciting tale in Dead Men Rise Up Never. The characters are engrossing and invite the reader along for a wild ride, which is always the hallmark of a great piece of genre fiction." A man is killed on the streets of Prosperity City, stabbed through the heart by a unicorn. In the cold light of dawn, the glamour fled, the creature is just a shaggy pony with a tin-plate horn. 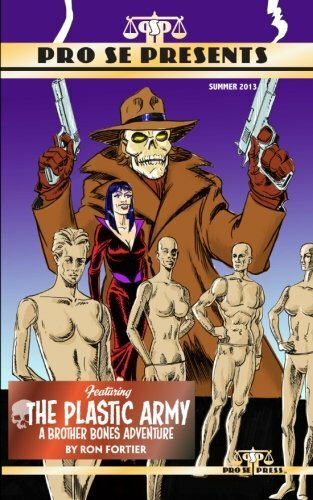 Detective-Inspector A. Afton Lamont and her not-quite human partner, Jerome, are handed the case and follow the trail to Avalon, a private estate owned by the last son of one of their colony world’s founding families. It’s also home to a strange community of bohemian artists, plus a controlling AI who can inhabit a variety of bodies. In a tale of deception and illusion, of an idyllic rural paradise underpinned by technology, of dreams made flesh, can Afton and Jerome discover the murderer in a tangle of lies, secrets and outright magic? From Author Jilly Paddock (To Die A Stranger) comes Dead Men Rise Up Never, featuring mystery, magic, technology, and intrigue. Also included is a short tale revealing what these intrepid detectives do after solving a high-profile murder case, which is of course get drunk in a local bar with their colleagues from Forensics. Excitement, danger, and more await in Jilly Paddock’s Dead Men Rise Up Never. From Pro Se Productions. Featuring a stunning cover by Adam Shaw and print formatting and logo design by Percival Constantine, Dead Men Rise Up Never is available in print for $15.00 via Amazon at http://www.amazon.com/Dead-Men-Rise…/…/ref=sr_1_1_twi_2_pap… and via Pro Se's own store at www.prose-press.com. This fantastic science fiction crime adventure is also available for only $2.99 as an ebook for the Kindle at http://www.amazon.com/Dead-Men-Rise-…/…/ref=tmm_kin_title_0… and for most digital formats at https://www.smashwords.com/books/view/566686. To request digital copies for review, or for interviews with the author or more information on this title, contact Hancock at editorinchief@prose-press.com. Here's the Smashwords link for epub and other ebook formats. We need to do some actual promotion for a change, so anyone who wants to host an interview on their blog, please contact me. Interested reviewers can also contact me for electronic review copies. Next up will be 'With Amber Tears', the sequel to 'To Die a Stranger'. Hopefully, it won't be another 18 months. In fact we're hoping it'll be out by the end of the year. For those without ereaders, Book one of the Afton & Jerome series will finally be appearing in paperback from Pro Se Press at some point. Again, hopefully, by the end of this year. It will also contain an extra short story, as we considered it to be slightly too short to fill a paperback on its own. There's a very nice new interview with Jilly Paddock on Nancy A. Hansen's 'Writing from Home' blog. We're actively looking to do interviews & promotion at the moment, so let us know if you can help. 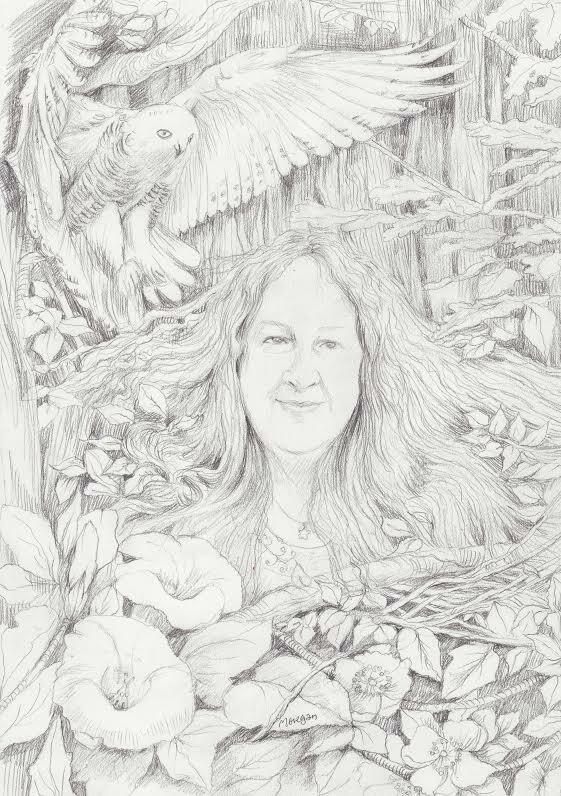 Many thanks to our good friend, artist Morgan Fitzsimons for this fabulous drawing of Jilly. We're actively looking for more promotional opportunities, so, if you have a blog, or website & would like to host an interview, please get in contact. Reviews are, of course, also very gratefully received. Jilly will have a new story in what promises to be one of the must-buy anthologies of the year. Legends of New Pulp Fiction, is benefit anthology for Tommy Hancock, her publisher at Pro Se Press, who has suffered some serious health problems of late. It'll be coming out from Airship 27 in late October/early November. Jilly and I will both be on one of the first panels at this year's Fantasycon - Freshly Pulped: The New ‘Old’ - along with Adrian Cole, Mike Chinn, Morgan Fitzsimons and I.A. Watson. It'll be at 4pm on Friday 23rd of October, immediately after the opening ceremony. We'll have a few copies of Jilly's books available at the convention. Jilly Paddock has two new books out! The first is From the Dragon Lord's Library, Volume 1, which reprints her story, 'The Dragon, Fly.' The beautiful cover art is by Morgan Fitzsimons. It's also worth noting that volume 2 is also available & also sports a great cover by Morgan. Both volumes are currently available in Kindle editions and paperbacks will follow very soon. Secondly, WITH AMBER TEARS, the long-awaited sequel to TO DIE A STRANGER is finally available in paperback and ebook editions. Again, the wonderfully talented Morgan Fitzsimons provided the cover. You can read more on Jilly's Blog. https://tabbycat.wordpress.com/2015/12/06/two-new-jilly-books/. Please contact Jilly, or I for review copies.